Codegen 4U V2 500mm rackmount is a computer chassis featuring a number of different power form factor and storage device options. 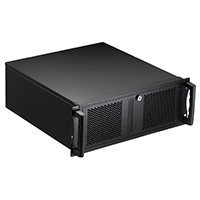 The 4U V2 rackmount computer chassis provides the best support for various rackmount systems and different applications. There are several fan options which can deliver an exceptional thermal performance you can rely on. 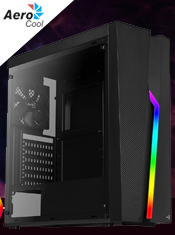 You can fit 2 x 80mm fans at the back and a 1 x 120mm fan at the front which is included. The front door with key lock delivers confident protection against unauthorised access and theft, for a great peace of mind. 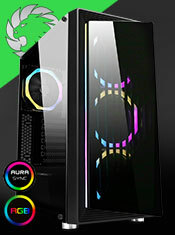 A spacious interior provides sufficient room to accommodate your powerful hardware, such as ATX motherboards and up to 9 internal 3.5" HDDs, 3 x 2.5" HDD and seven expansion slots, so users can expand your server system easily. Configure or build your own custom 4U rack server starting with the chassis. 4U Rackmount Case - 500mm deep (inc. handles). Server Motherboard Support - Supports CEB (12" x 10.5") and ATX (12" X 9.6") motherboards. HDD Capacity Support - HDD support includes 9 x 3.5" internals, 3 x 2.5" internals and 1 x 5.25" external bays. Removable Air Filter - Situated inside the door, can be removed and washable.